Jared Show brings us this comedy film titled Bigfoot the Movie (2015). This movie is not my type of film but tell us what you think of this trailer. 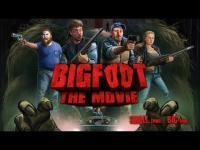 Curt Wootton, Joanie Dodds, and Jared Show star in Bigfoot the Movie. Bigfoot The Movie is available now on DVD at Family Video, which has over 750 locations nationwide; Dark Delicacies located in Los Angeles; and Forbidden Planet in New York City! Also, you can buy the movie on Amazon or at online retail stores - Walmart, Target, Best Buy, and many more! JS Pictures Corp presents a Jared Show film starring Curt Wootton, Joanie Dodds, Nate Magill & Jared Show in Bigfoot The Movie. This film is not a documentary or like Harry and the Hendersons. If you enjoy the movies: Tremors, Shawn of the Dead, and Tucker and Dale VS Evil then your gonna love this! Bigfoot has come to the town of Ellwood City, PA and is causing BIG problems. Now it’s up to four town locals, Chuck (Curt Wootton, Pittsburgh Dad), Dale (Nathan Magill), Burl (Jared Show, Pumpkin Karver) and Kate (Joanie Dodds, America's Next Top Model) to take him down. In this comedy/horror flick mullets, guns and beer are in full supply as the movie skewers the Pittsburgh ‘Yinzer’ stereotype right alongside the Bigfoot myth. The movie features Pittsburgh’s most famous and best loved celebrities like Bill Crawford (WDVE) Jim Krenn (stand-up comic, formerly of the WDVE morning show), Aaron Klieber (stand-up comic), Terry Jones (stand-up comic), Brenna Lee Roth (Killer Biker Chicks), and even veteran news anchor Darieth Chisolm (formerly of WPXI) among others. 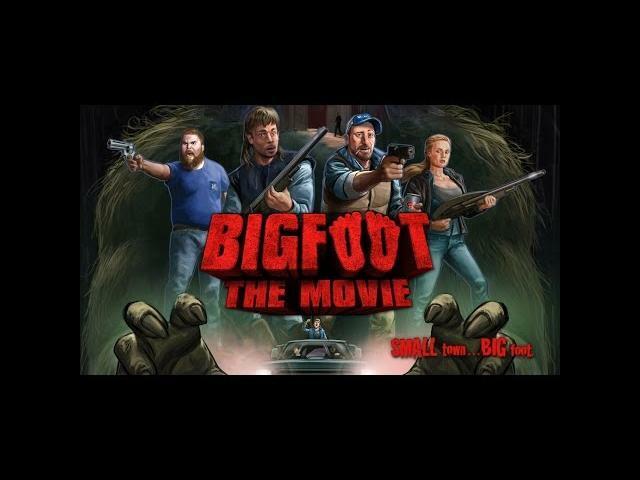 Visit www.bigfootthemovie.com for more information or to obtain your copy of the movie. 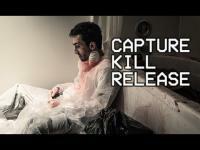 JS Pictures Corp presents a Jared Show film starring Curt Wootton, Joanie Dodds, Nate Magill & Jared Show. Bigfoot The Movie is not a documentary or like Harry and the Hendersons. If you enjoy the movies: Tremors, Shawn of the Dead, and Tucker and Dale VS Evil then your gonna love this! Bigfoot has come to the town of Ellwood City, PA and is causing BIG problems. Now it's up to four town locals, Chuck (Curt Wootton), Dale (Nathan Magill), Burl (Jared Show) and Kate (Joanie Dodds) to take him down. In this comedy/horror flick mullets, guns and beer are in full supply as the movie skewers the Pittsburgh 'Yinzer' stereotype right alongside the Bigfoot myth. The movie features Pittsburgh's most famous and best loved celebrities like Curt Wootton (Pittsburgh Dad), Joanie Dodds (America's Next Top Model), Bill Crawford (WDVE) Jim Krenn (stand-up comic, formerly of the WDVE morning show), Aaron Klieber (stand-up comic), Terry Jones (stand-up comic), Brenna Lee Roth (Killer Biker Chicks), and even veteran news anchor Darieth Chisolm (formerly of WPXI) among others.